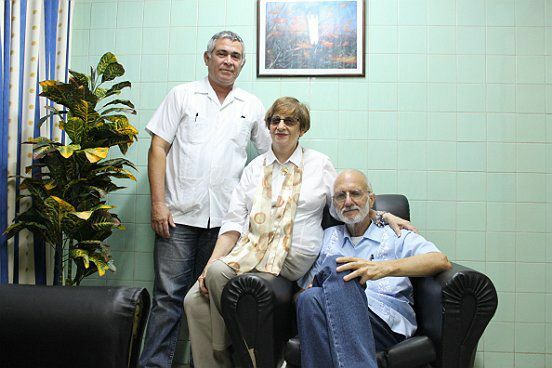 ← The Pope and The U.S. Cuban Breakthrough: Gracias pero…. Everyone can rejoice at the release of Alan Gross from five years imprisonment. The reality, however, whether or not he realized it, is that Gross had gone to Cuba as a part of a questionable, far-fetched plan hatched in Washington that ultimately had the goal of toppling the Castro regime. Anti-Castro politicians and talking heads, such as senators Marco Rubio, a Republican, and Robert Menendez, a Democrat, pretend that Gross had gone to Cuba in 2009 to donate communications gear to the country’s small Jewish community. That claim has been broadly shown to be false.